Maybe you’ve such question in your mind that why we should use Cinema 4D in order to produce VFX scenes? I can answer your question though. You know, C4D has truly thousands or even millions of users around the world who use this software to create motion graphics. 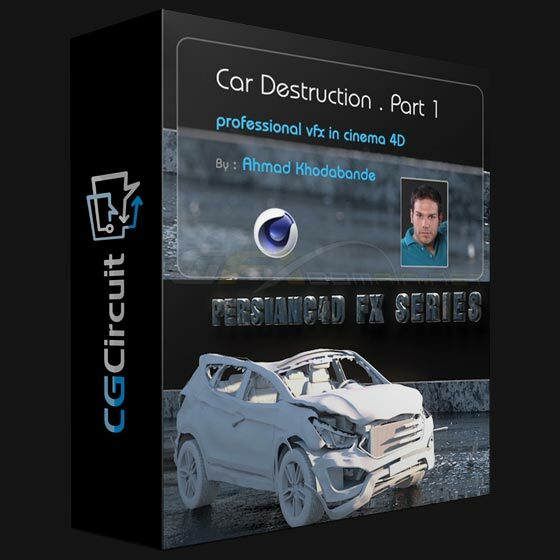 So in this course, I’m gonna show you how to create visual effects by using this amazing software. First of all I’ll talk about accident and collision and also deformation. Then you’ll learn how to create an explosion fume and so on. In the last part, you’ll be able to render and composite your final product. rars not opening! password protected? !